Inspired by the Easter Story Wreath I saw at Oriental Trading (pictured below), I thought it'd be fun to draw my own version for kids to color, cut and assemble! I wanted to include Pentecost in my wreath (it's not included in the one above) and also add scripture verses to make it tell the Easter story in better detail. (And by-the-way, I really didn't care for the "happy hippy" Jesus in their wreath--I mean, he's SMILING during the agony in the garden? Really?) So anyway, here is my own version of an Easter Story Wreath. Please feel free to print as many as you like! There are three documents to print (2 image docs and one scripture egg doc). I overlapped some of the pictures on top of each other to make them fit nicely--feel free to arrange them however you like! Glue stick or Glue Dots work well to affix the pictures to the wreath base. NOTE: Some people have mentioned that their scripture eggs are printing out blank. If you experience this, you can try editing the document to re-arrange the order of the "egg shape" to send it to the back. This has fixed the issue for most people. I hope that helps. I hope this wreath helps make the Easter season more meaningful for your family! Love it. Definitely gonna make this. Thanks for sharing. Just getting to your email but will definitely use it next year for RCIY!!!! Thank you! I thank you for having this project and allowing us to use it. I definately liked your revision on the graphics. I am sure that this project is used over and overmy many. A great piece to work with and explain to the children in class. I love this project. My eggs were blank also. However,when I saved the printable in word, the scripture printed. An idea for those who aren't comfortable with the editing feature. Thank you for sharing your gift. This is beautiful! Thank you so much for sharing. Thanks-so glad you like it! Awesome craft. we will be doing this! Thank you for sharing! Thanks-glad you like it! :) That's a bummer about Scribd-thanks for the FYI. Any recommendations for alternative document-sharing sites? awesome craft!! thanks for sharing!! I tried downloading or printing this from the webpage but are unable to. It says page not available. Are you able to maybe email me the printables please. nazreendavids.info@gmail.com I would like to do this for our Sunday School kids. Hi Erin! I'm your new follower! This is a great project! Thanks for taking the time to create it and share it with us! Love this! I am also following you! 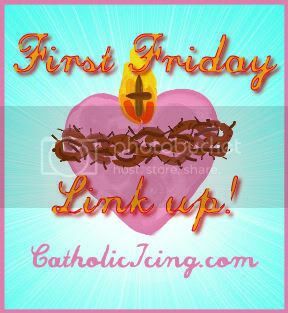 I found you via Catholic Icings Link up! Love this, Erin. I can't wait to do this with some of the older children using our church nursery this season! I am having trouble getting the third page to load, though. Anyone else? Thanks for sharing your talent! Cool idea - - your pictures are lovely. You can share through Google docs, too - - at least I think so. Hello Erin..not able to download this awesome idea..do you have another method for downloading? Is there a way to download this Easter Wreath other than via Scribd? I love the concept! Love this but can you download it a different way? I don't subscribe to Scribd and would prefer not to have to pay for that service! Thanks in advance. I would like to have this download but will not pay to Scribd. Would it be possible to get them emailed to me? merryagray@yahoo.com Thank you I enjoyed your blog! Hello Erin - I found you through Pinterest. Thank you for the amazing work you did with this - I was able to download thru google docs. Thank you so much for this! I really liked the idea of the kit from Oriental Trading, but this is so much more meaningful and beautiful! Great work, and thank you for sharing! What a beautiful job you did remaking this into a more 'Catholic' version. Thank you so much for sharing it. Hi, I am trying to download this through google docs and just get a blank page. Could you email it to me at annheise1220@gmail.com? Thank you so much! Thanks, Erin for making this available for free. I made one last year, but am hoping to do one with a friend's daughter. Two of the Bible verses don't print inside the eggs, but easily taken care of by editing in word. Thanks again - - love the pictures! Erin, I ADORE this idea. Like others, I'm unable to download and don't really feel like paying Scribd for one download. Anyway you might be able to email me? I teach at a private Christian school and would love to use this before Easter. Thank you so much!!!! When i downloaded them, there was nothing on the page. Did you remove them? Hi Erin, I found your log through Stephanie's Pinterest board. What a cute idea! Adding the scripture verse makes it more meaningful for children. It's good for them to connect I to the bible. May God bless you for your creativity and generous heart! I haven't tried to download it yet so I hope it works! Hi! I love this and am hoping to make it with my kiddos. Iget a blank page through google docs. Would you mind emailing it to me? Or give a tip on how you created it so I can attempt it on my own! God bless. Ok scratch that last request :) It did download after all. Thanks you and God bless! You read my mind. I saw that wreath idea last year on OTC website and thought surely that can be done with the focus on Christ. Thank you!!!!! I also get a blank page through Google docs ... will you email to me at Denise@discovergrace.org? 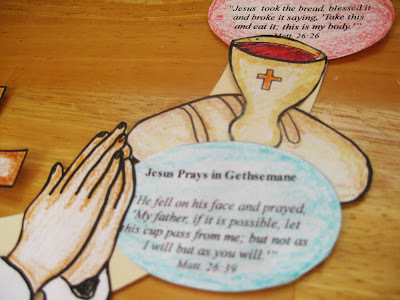 I love this idea and want to do it for a project this weekend with my little kids' religious class. I don't subscribe to Scribd, and the ODT files have a grey background on them. Could you share a MS Word or PDF file as well? If so, that's great. If not, that's ok, too. Thanks! Wow! Did you draw this pictures? I have to say that you are very creative! Thank you so much for sharing them. I think we are going to use the pieces in like a timeline format on the wall so that we can do 1 piece a day. Then, on Easter we are going to make the wreath. Thanks again! What a great idea! I seem to be having the same problems as everyone else. If at all possible would you send me the pics as well? I am really loving your Easter Wreath but I am having the same problem as the ladies above me. It says that the documents are locked when I try to download them. I am not the best tech savvy person around so I have no clue how to correct that. Is there another way that I can get these documents besides the paid version? My email is lori_hubler@yahoo.com if you are willing to email them. I appreciate the time you are putting out for this wonderful craft. I am hoping to share this with our Sunday school classes. I'm having difficulties downloading these wonderful documents of yours, as I'd love to use them with my prep class. Could you please email them to me on fona082@hotmail.com? Thanks. F.
Hi Erin, we did make this in my class this morning and it was a hit. I had asked another teacher to come in and help with the assembly of it. It's hard to watch even a small group of kids to make sure they were matching up the right verse to the right picture :) It worked great and a few of their parents exclaimed that they loved it at pick up! Thank you! I posted about it today and linked back to you. God bless. I tried downloading or printing this from Erin's webpage but are unable to. It says page not available. Are you able to maybe email me the printables please. nazreendavids.info@gmail.com I would like to do this for our Sunday School kids. I loved this! However when I tried to download it, the wordpad version it cut's off half of the documents! Is there another method you have these saved as? What a great project! I would love to do this with my 4th grade class next week!! I am having the same problem as the people above with the downloads. can you possibly e-mail me the documents? I was able to cut and paste the pages from scribd for the pictures, but not for the eggs/words. Could I please get these e-mailed to me? It worked great now! Thank you! The top two eggs are empty...no verses. I think some verses are missing. Might you be able to help? Thanks! This is a beautiful project! I would love to do it with my little one, and perhaps with my Children's Church group. However, when I try to download the google doc it is only available as a ODT file. Which my computer cannot open? I know you are probably swamped with this right now, but I would love them emailed to me if at all possible. Thank you so much! This is awesome, but I can't seem to open the downloaded file (as I see from others). So as Jes said, if you have time I would also love to have it e-mailed to me, but totally understand if you don't have time! Thank you for creating such an awesome printable. Unfortunately, I can't download it on either link. Can you email it to me if you get a chance at brandyweems@hotmail.com? I would love to create it with my kids this week. Thanks again for sharing HIS light with the world. Blessings! Hi Erin, Thanks so very much for sharing this - it's perfect for the children. Sadly, I can't view/download it via google docs (drive) - I get a blank page. Are you please able to email it to me. Thanks in advance. Found your awesome creation on Pinterest--but I seem to have the same issues as others (downloaded, but ODT file won't open). I can't download the google docs...do you have another link? I would love to do this with my kids or even my CCE class. Would you mind sending these to me in email? I absolutely love this and was hoping to use it at our Easter party at church! I tried google docs and it came up blank. Thanks so much for sharing this!!! whoops my email is jessica@tbclodi.com!! Thanks for your great blog and sharing your ideas! 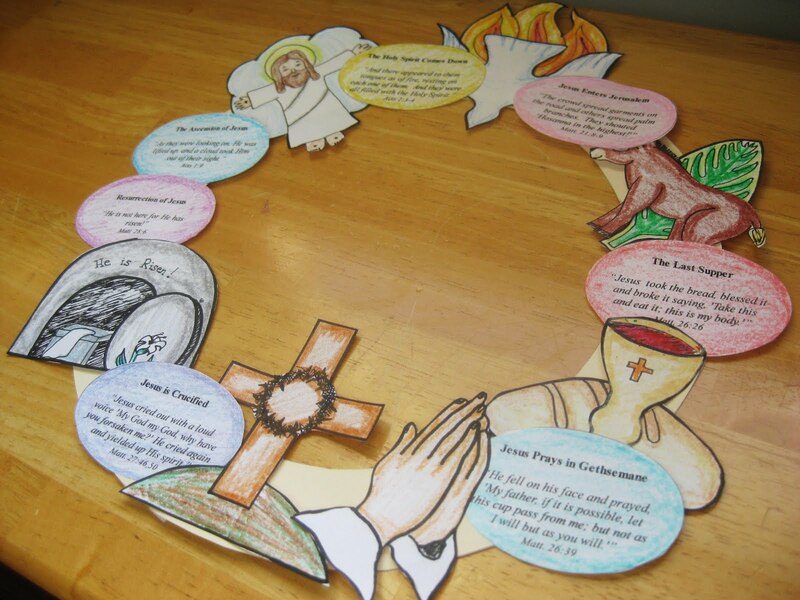 We are going to use the Easter wreath this Sunday for our Sunday school classes as we move into Holy Week. We really appreciate the fact that you moved the documents to Google docs so that we can get them free. This came up blank on the new google docs for me also. I love this idea and thank you for sharing freely. Any other ways to get these to print? Love this!! Thank you so much for taking the time to put this together and for making sure that there is a free printing option! One thing, the scripture page has two blank "eggs". This looks amazing but I can't get it to print - it just comes up blank :( Is there any way I can get it emailed to me? kristyann628@yahoo.com ? Thanks so much! Hi Erin, like many others I loved it and want to do it with my kids for easter, but unfortunetely can't open the files, is it possible to get them by email. For those of you who find that 2 eggs are blank, they really aren't. The words are hidden behind the egg. If you click on the egg, you will get the image menu. Find the one that says, 'send back'. Click it a few times, until the words appear. Hope this helps. I love this! I was hoping to do it with my daughters and childcare kiddos this week. I can't seem to get your google docs to print though. It just comes up blank. Would you mind emailing it to me? I really love this idea and wanted to do this with my son this weekend. However, I can't seem to get the file from google docs. It comes up empty. Any other way of getting this? Email it to me perhaps at cresyr0328@gmail.com? For me, it comes up empty in an internet tab, but in the lower left corner it shows the download. Click on it, and it should pull up in a Word document. HTH! Thanks so much for this! I teach Sunday School this Easter and this craft is perfect. I would love to subscribe but I don't see a subscribe by e-mail? I am a blogger myself, but I am kind of new and don't really get the other ways of reading blogs. I'm always afraid I'll miss something that way! For me, it came up empty in an internet tab, but on the lower left is the download. Click on it, and it should come up in Microsoft Word. HTH! I am from Brazil and Thanks so much for sharing this with us, this craft is perfect. God bless you!! I have a Mac and have tried the previous suggestions of downloading as I am not a subscriber to Schibd. I can't produce anything. Can this be emailed to me at melamitch72@gmail.com? Thank you so much for making this available via google! I was able to download without a problem. After reading that it worked for Autumn Jones, I tried downloading it again. This time I tried to open the file from the internet tab instead of saving it, and it would not open for me that way either. Thank you for making this free and something we can do every year. It is a lovely idea. Thank you so much for sharing this for free!!! Can't wait to do this with my son this week. Erin, I am trying to print your great pages, but they are coming up with a dark grey background. Has anyone else had this same problem? Erin, I would love to do this with my kids this week. Of course, I waited until Monday morning to try to print! The Google docs are empty pages.... would you please repost or email them to me at damselandfamily AT gmail DOT com? Thank you so much!!! Thank you so much. This is beautiful. My daughter and I made one for each of the grandparents for their homes as well as ours. Means so much more to her as a hands on retelling of the Passion. Thank you Erin for a beautiful way to tell the Easter story. Thanks for this awesome idea! We will be using for our Easter Sunday Children's Liturgy! What a great idea! I'm excited to do it but it downloads blank pages :( Any solution? Has anyone received an email to print these yet? I requested a few days ago and nothing yet. How about anyone else? If one of you got an email, could you please send it to me? Same problem and would love an email with the printables! Thank you so much for the great family activity! God bless! Thank-you very much for sharing. I am constantly trying to enhance our Religion curriculum with meaning activities for the students. I am really excited to try this this year! Great idea but only free when you subscribe! Thank you for creating and sharing this. I'm also extremely grateful for the extra time you took to make these more accessible by adding them as both Google Docs and Word Docs. You are blessing many with your kindness. Thank you for the free download update. I had a problem though - the egg printables don't contain the words (they're blank). Thank you for creating and sharing this!! I am looking forward to doing this with my four littles!! This is such a very creative craft. I did this wreath too, thanks to you. 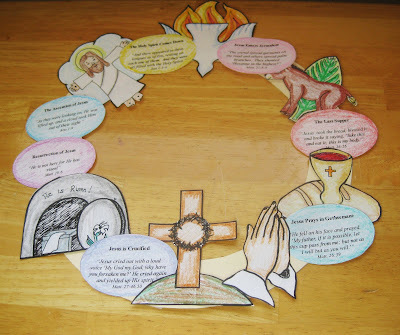 But the only thing is instead of story, I used Easter quotes from bible for each oval cutout. It works great. Awesome! I saw the one on Oriental Trading and was trying to think of a way to make a less expensive version. Thanks!!!!! Is there a way to get this printable without Scribd? I am having the same problem. Please help. Is it really free? Thanks so much for this great Easter craft. I really enjoyed preparing it and thanks for putting the free version on your site. Happy Easter. Thank you! I can't wait to share this with my class tomorrow evening. This is a great visual for elementary aged students. You did a beautiful job drawing these! Thank you for sharing them! Beautiful! I like yours better than the original and thank you so very much for sharing them for free! Thanks again! It is wonderful to find your post through Pinterest. It is a beautiful design and helpful teaching material for me. I am a Sunday School teacher teaching preschoolers to Grade 2 kids. It is going to be one of the crafts I will definitely share with my little friends in Easter time.Thanks for your great effort to share your talent to glorify God. Hi there! Loved your printable and would like to link to your page. My blog is called FamiliesThatStick and wanted to offer some meaningful Easter resources. Yours is super cute! Thanks so much! Hi, I did what you suggested about the eggs but still the verses weren't on there. Is there another way this can be done. I tried Google. Any way that you can fix the problem with the Scriptures on the eggs? I see no way to fix it with a Google Doc. Thanks! Thank you so much for this lovely idea. We have used it to decorate our classroom door in preparation for Good Friday. The kids enjoyed making it and it made the lesson easier to understand and more interactive. Thanks again. God Bless you. Can't wait to do this with my kids this week! 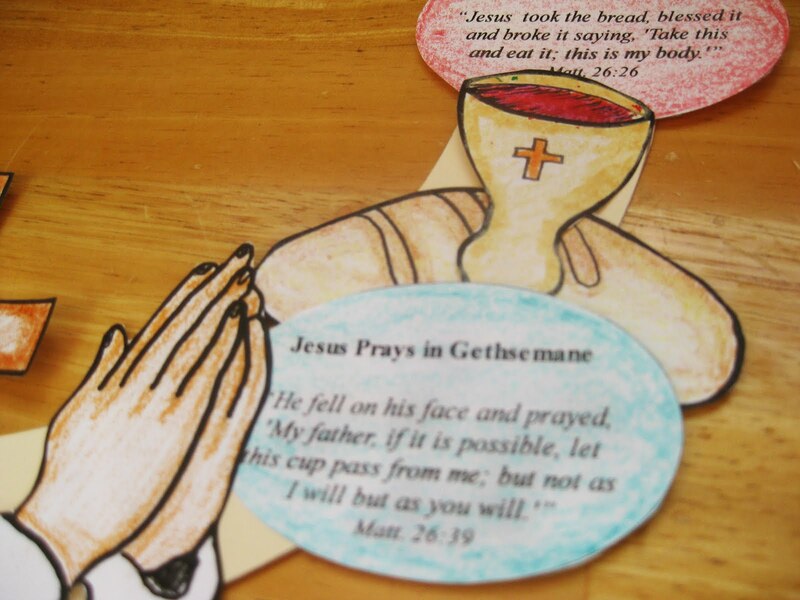 Such a wonderful activity for young children so they can learn the story of Easter. My students are working on this as I type. They are thoroughly enjoying the activity as we just discussed Holy Week in great detail. Thank you for sharing this craft! Beautiful! I am so glad I came across this activity. My students will love it. Thanks for sharing! My goodness- I am SOO glad I found this! It is EXACTLY what I wanted for my 3 and 6 year old but didnt even realize it becuse Im just not crative. :) They are going to love making this and the story is so perfectly captured. God bless you! Thank you so much for this project! When I clicked the link for the eggs, it opened in another tab in my browser (like the other links) and they were blank...but once I downloaded them all and opened them on my computer, the eggs then had the scriptures in them. Hopefully that helps! Thank you, Thank You, this was the perfect craft for my 3rd-6th grade Sunday School class yesterday. I knew that this craft would take time and the younger students may have trouble cutting all of the pictures so I asked a student from that class (she often gets to church early) to cut a few sets and put the pictures in baggies to hand to students that needed that extra help. That worked out so well! The younger student colored and glued, the older students did the whole project. I cut out the wreaths before class. الان من خلال مؤسسة الاخلاص والامانة يمكنكم الحصول على ارخص اسعار شركة نقل اثاث مكة المتوفره اليكم من خلال الاتصال على هذه الارقام . الان يوجد فى مصر مركز صيانة شارب المعتمد الذى يوفر اليكم العديد من الخدمات المتنوعه ومنها الحصول على جميع قطع الغيار الاصلية بأقل الاسعار . اقوي العروض والخدمات المتميزه مع شركة سوقني شركة تسويق الكتروني علي اعلي سمتيو وباقل الاسعار في مصر علي اعلي جودة واقل سعر في مصر . اقوي العروض التي تقدمها الشركة بمستوي عالمي شركة مصاعد جدا الان في مصر استمتع بالكثير من الخدمات المتمزيه في جميع اعمال المصاعد . Thank you for this project. I will be using it for my kids this year. It appears that the comments section of this post may be used as a platform for sharing articles unrelated to the craft. I love this so much! Thank you!!! استمتع الان مع اكبر الشركات بالمملكة العربية السعودية شركة العنود من كبري الشركات التي بها كافة الخدمات التي يتمناها جميع العملاء في السعوديةتنظيف خزانات بمكة علي اعلي مستوي من التميز استمتع بكافة الخدمات التي تقدمها اليكم العامالة علي اعلي مستوي شركة تنظيف خزانات بمكة باقل الاسعار . فريق عمل متخصص في صيانة واصلاح الاجهزه الكهربائية من صيانه يونيفرسال المتوفره في جميع محافظات مصر وفي اي وقت يمكنك طلب خدمات الصيانة الان في اي وقت . احصل علي مجموعه من خدمات الصيانة والتركيب للاجهزه الكهربائية من صيانة جنرال اليكتريك حيث انها متخصصه في تلك المهام وتقوم بتدريب العمال علي احدث الطرق والاساليب الان في مصر بالمتابعه من خبراء صيانة جنرال اليكتريك تواصل معنا الان لمعرفة المزيد .